Ideal for modern or traditional decors, these deep pile rugs will add warmth and comfort in a single purchase! The luxurious and deep pile if around 7cm in length, the vibrant and silky polyester yarns feature a mix of thick and thin pile diameters. The soft texture and inviting pile is ideal for relaxing on, like the old cliche states, 'turning a house into a home'. 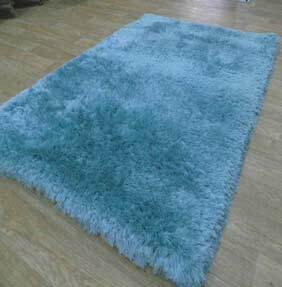 Revival is one of our latest and thickest shaggy pile rugs, the colours are all very fashionable and made in five popular sizes.